October saw an increased amount of posts in the gallery with existing, returning and new members all sharing their crafty projects with us. We loved seeing all the projects you made and our first winner is below. Congratulations go to MrsN for her charming Gilded Winter exploding box, we loved the detail added with the quilling and the use of the flameless candle in the centre to make a lovely keepsake gift. Please email [email protected] your details and we will send you a lovely crafting prize. 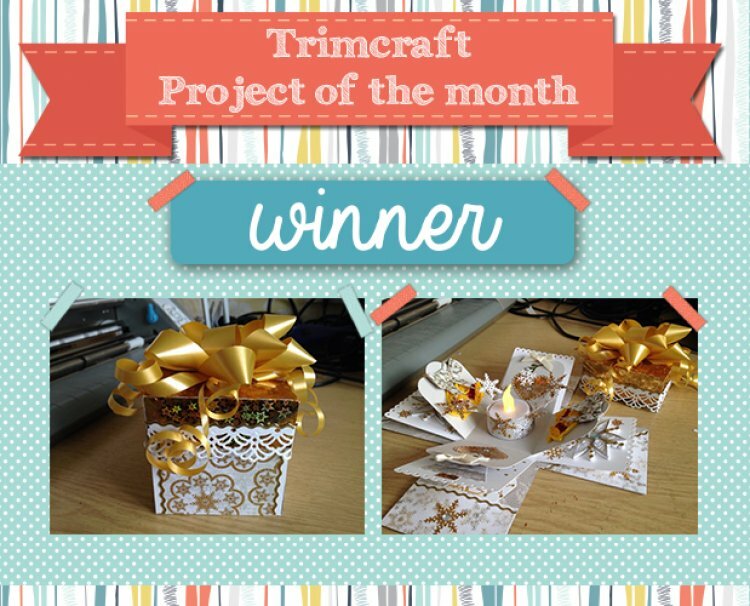 Don’t forget to keep adding your projects to the gallery for your chance to win Novembers Project of the Month.